Should I hire a personal trainer from my gym? Should I hire a private personal trainer who has their own studio? Like in most industries there are good and bad professionals, and the quality of personal trainers can vary greatly. You want the results that you are paying for don’t you? You’re also expecting a certain level of service aren’t you? with the more you pay, the better quality of service you expect. It’s like the difference between a 3 star hotel and 5 star hotel. If you pay a personal trainer £20 per hour then it’s likely the quality is not going to be as high as a personal trainer who charges £50 per session. If you’re already a member of gym then it makes sense to hire a personal trainer who already works there? After all you’re already paying for a gym membership, so you may as well have a few PT sessions per week at the same facility. Location – you’re familiar with the gym and location of where to train. Price – most commercial gym trainers charge a set rate which is dictated by the gym, for example the gym charges £40 per session (and the trainer gets 50%). It’s usually a very reasonable rate compared to private personal trainers, therefore making it more affordable to most members of the public. Set Gym Plan – the trainer can help design you a program that works in your gym, you can then do this outside of your PT sessions. Private – you get to train in a location where there’s just you and the trainer. Lots of people don’t like gym environments, they don’t like the business, or to be watched, and it can be a very unpleasant experience. Whereas with a private PT you don’t have to encounter this, and you can feel comfortable knowing nobody else is watching. You can get on all of the equipment – in a busy commercial gym you can’t always get on all of the equipment. 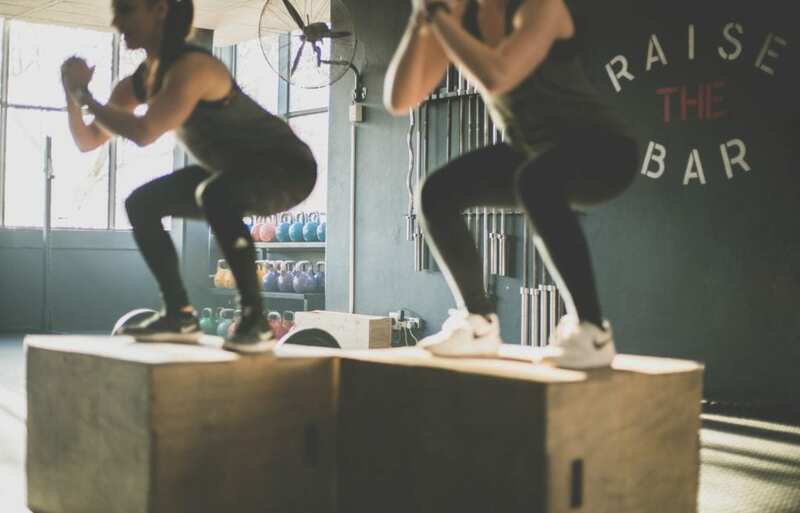 If you train at peak times (6-9am or 5-8pm) then the likelihood is that the gym will be packed and you wont always be able to get on the necessary equipment – for example the squat racks may be taken, meaning you cant do squats. Although a good personal trainer will be able to give you a good workout regardless of what machines are available, it does mean that it’s hard to follow a consistent training plan each week. Luxury – lots of private personal training studios are more luxurious, for example you can play your own music, you get your own bottle of water before each session, the PT studio is super clean and tidy all of the time, top end equipment, fresh towels to use, etc, etc – If you want more personalisation and a higher quality of service then you’re far more likely to get it in a private setting, although you will have to pay more. Experience – most personal trainers don’t set up their private studios until they’ve had at least 5 years in the PT industry, this can be down to lack of finance, it takes time for a PT to build up their business and to save for their PT studio. If a trainer has their own studio the likelihood is that they’ve already done a lot of PT sessions (probably at least 5,000 sessions) meaning they have a good amount of experience and are more likely to know more than the average PT and therefore be able to deliver better results. More Passion – you don’t set up your own personal training studio unless you are super passionate. Being a PT is extremely challenging, you have to work your socks off, delivering 30 sessions per week, you have to be able to motivate people, deal with clients that don’t pay on time, and it also costs a lot of money to either build you own personal training studio or rent a PT studio, it’s not for the faint hearted. 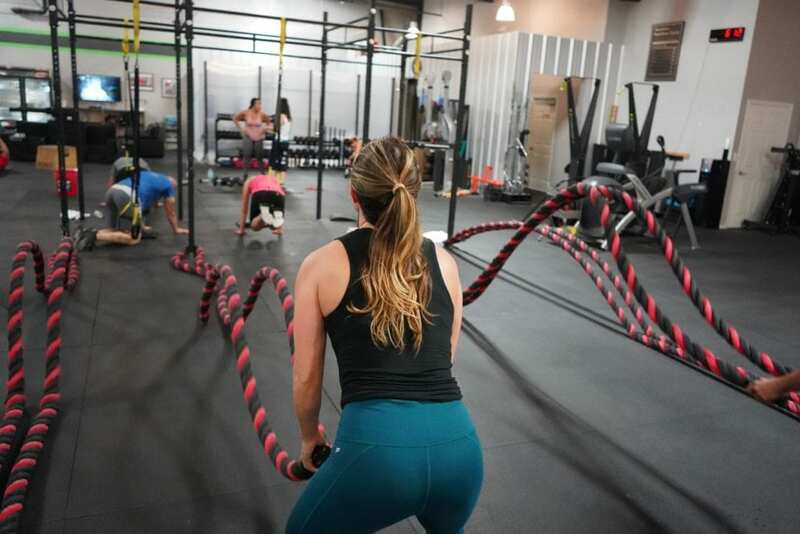 If a personal trainer has their own studio there’s a high likelihood that they love their work and are super passionate about helping others, otherwise they wouldn’t put themselves through the stresses of owing their own business. This level of passion and enthusiasm means they are often more driven to get customers results. In a nutshell I’d say that if you can afford a private personal trainer then go that route, more often than not you are more likely to get better results, although like I’ve said you will have to pay more. I’m not saying there aren’t lots of excellent commercial gym trainers (there are!) And if you can find a good one and one that you’re happy with – then by all means go that route, it’s really down to personal preference. Being a private personal trainer myself, I’m likely to be biased and big myself up! But I’m also talking from my own experience(s), for one I’ve worked in plenty of commercial gyms and I know the standard of training fluctuates greatly from trainer to trainer. I also know the struggles of being a commercial gym trainer, lots of gyms put you under pressure to meet targets (so that the company makes a profit) but they neglect your own needs and treat you poorly (not all gyms – but lots!) This doesn’t make it a pleasant environment for trainers. They are overworked, underpaid and therefore the level of service declines. I’m shocked but I’ve heard stories like this too many times. Like I said not all commercial personal trainers are like this, but please be careful before parting with your hard earned cash! Want to join the LEP Tribe?